Seven species of camelids, members of the Camelidae family survive in the world today. 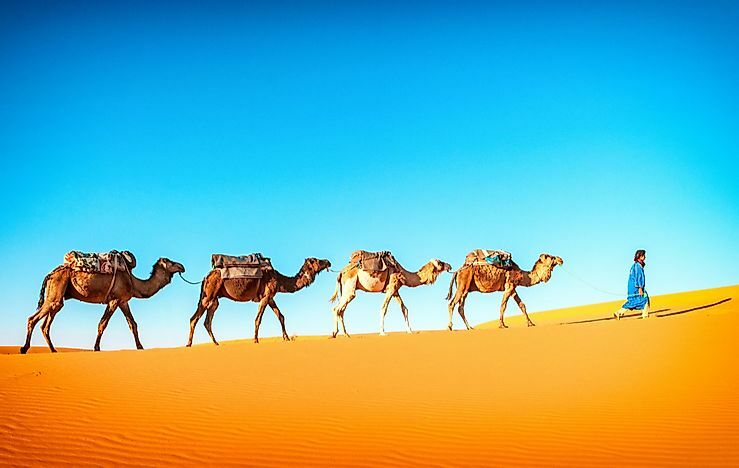 Camels traveling through the Sahara desert in Morocco. 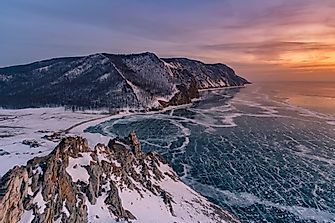 The term extant species refers to currently living organisms. The animals that belong to the Camelidae family have long necks and are large herbivores. Camelids are considered even-toed ungulates, which means they have separate toes on their feet. This is different from horses, for example, who have only one solid hoof. 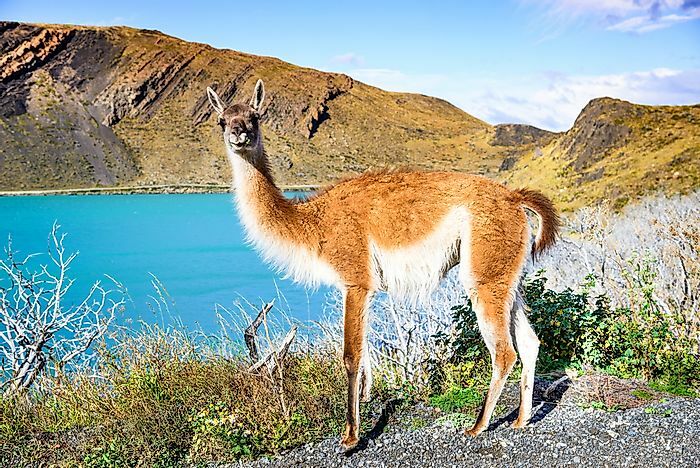 This article takes a closer look at the 7 living species of the Camelidae family, including Bactrian camels, wild Bactrian camels, dromedary camels, llamas, guanacos, alpacas, and vicuñas. A Bactrian camel in Mongolia. The Bactrian camel is native to the steppe region of Central Asia, where its range stretches from rocky mountains to arid deserts. The Bactrian camel is the largest animal living within this range. It is characterized by the pair of humps on its back. This species is primarily domesticated and has a population of around 2 million. The Bactrian camel is able to withstand extremely low temperatures, arid conditions, and high altitude regions. These traits have made it a valuable pack animals for hundreds of years. In fact, this camel was the principal pack animal used to transport goods along the Silk Road. This species grows to an average shoulder height of between 5.9 and 7.5 feet and is usually between 7.38 and 11.48 feet long. It is the largest living camel species in the world. 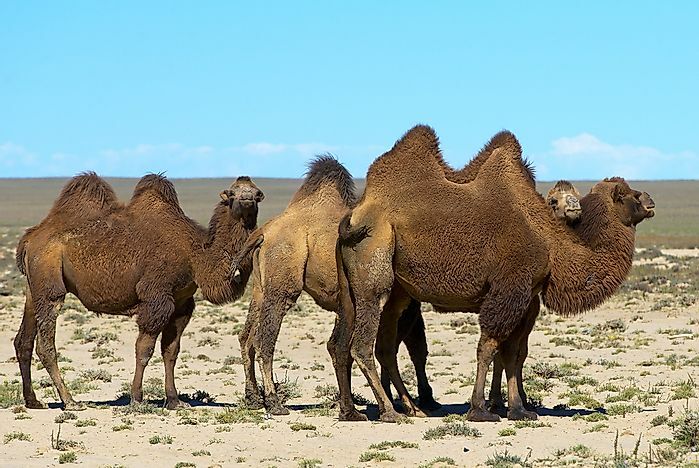 A pack of wild camels in Mongolia. 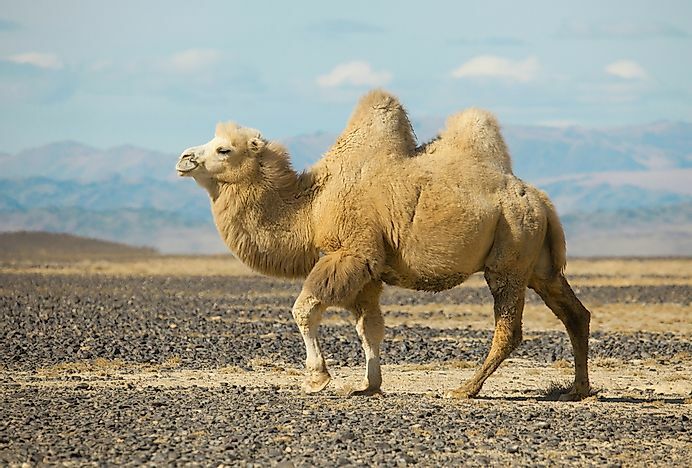 The wild Bactrian camel is native to the northern region of China and southern region of Mongolia, where it travels between mountain ranges and arid plains in search of food and water. Like the Bactrian camel, this species has two humps raising up from its back. 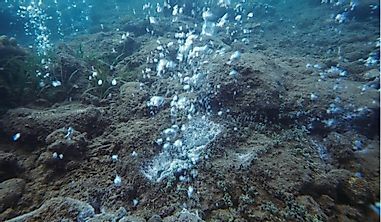 The two animals are considered close relatives, each having developed separately between .7 and 1.5 million years ago. The conservation status of the wild Bactrian camel is considered critically endangered, with a population of only around 1,400 left in the wild. 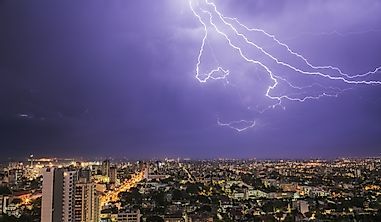 The principal threat to its survival is poaching. The wild Bactrian lives in herds that can range from 6 to 30 members, depending on the availability of food and water. Its nostrils are long and very thin and it has a double set of long eyelashes. Both of these characteristics protect this species from the strong winds and blowing sands of desert storms. 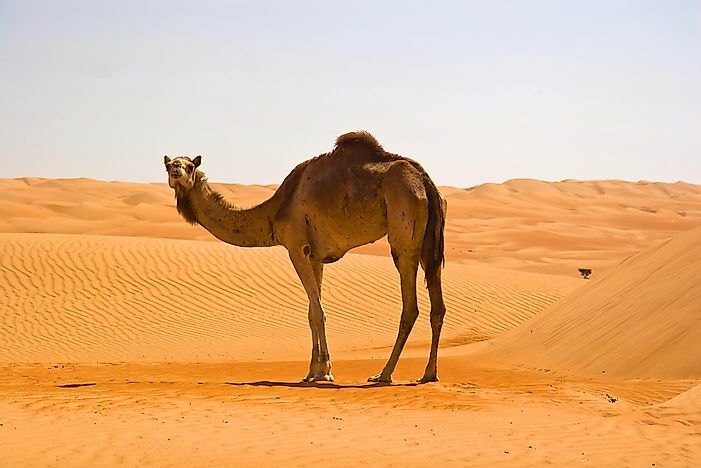 An Arabian camel in Oman. The Dromedary camel is native to the Arabian Peninsula and southern Asia. This species has been domesticated since ancient times and has not occurred in the wild for at least 2 thousand years. Its most recognizable characteristic is the single hump it has protruding from its back. This camel can lose up to 30% of its water content and is therefore able to withstand arid desert conditions. 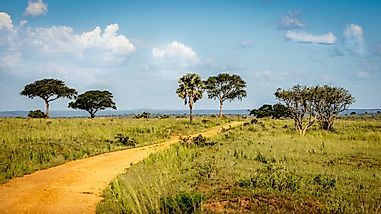 Throughout the Old World region of Africa, the Dromedary camel is used for transportation and as a pack animal. Many indigenous groups rely on this species as a source of milk and meat as well. This species has an average shoulder height of between 5.6 and 6.6 feet and an average weight of anywhere from 660 to 1, 320 pounds. 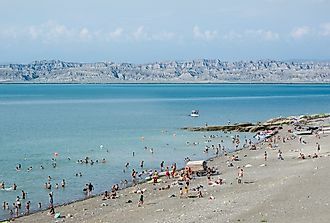 The males are larger than the females. 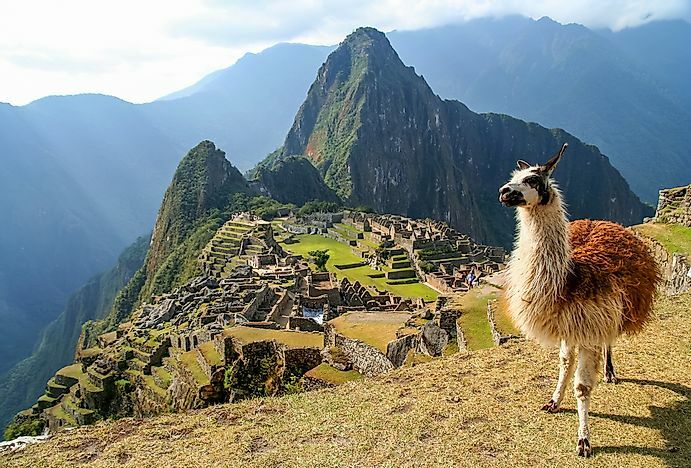 A llama in front of Machu Picchu. The llama is native to the Andes mountains of South America, but is believed to have originated in the plains region of North America over 40 million years ago. Today, it is considered a domesticated species and has a population of around 7 million. This species has been used as a pack animal and source of wool since prior to the Spanish colonization era. It is characterized by its long, wooly neck; short, curved tail; and long, inwardly turned ears. Its coat appears in a number of colors, including: brown, white, black, grey, and patched. The llama grows in height to between 5.6 and 5.9 feet and weighs anywhere from 290 to 440 pounds. As a pack animal, this species is able to carry between 25 and 30% of its body weight for a distance of up to 8 miles. 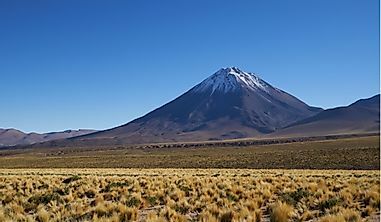 The guanaco is native to the Andes mountains and altiplano region of South America, where its population size is between 400,000 and 600,000. This species is wild and believed to be the ancestor of the modern, domesticated llama. Its coat appears in a tan to reddish-brown color with white on the underbelly. It can be recognized by its grey face and small, straight ears. In some countries, guanaco wool is highly prized. In Chile, for example, this species may be hunted as a source of food for humans. This species measures in height from 3 feet and 3 inches to 3 feet and 11 inches, making it smaller than the domesticated llama. It weighs between 200 and 310 pounds. The alpaca is another camelid species native to South America. This species has been completely domesticated and is valued not as a pack animal, but rather for its soft wool. 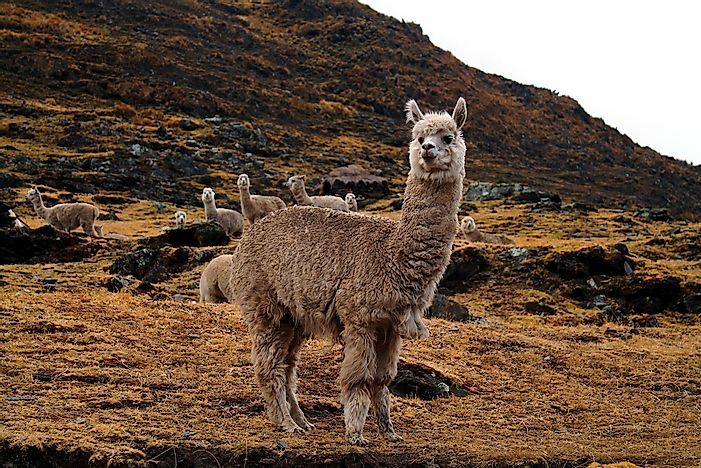 The alpaca can live at extremely high altitudes, where the local communities use the wool to produce knitted hats, gloves, scarves, sweaters, blankets. and shawls. Additionally, these communities often rely on alpaca meat as a food source. This species comes in a wide range of colors (32 according to Peruvian standards) from white to black and brown to reddish brown. Alpacas and llamas are able to breed successfully, producing the sterile huarizo. The alpaca grows to a shoulder height of between 32 and 39 inches, significantly smaller than its relative the llama. It typically weighs between 106 and 185 pounds. 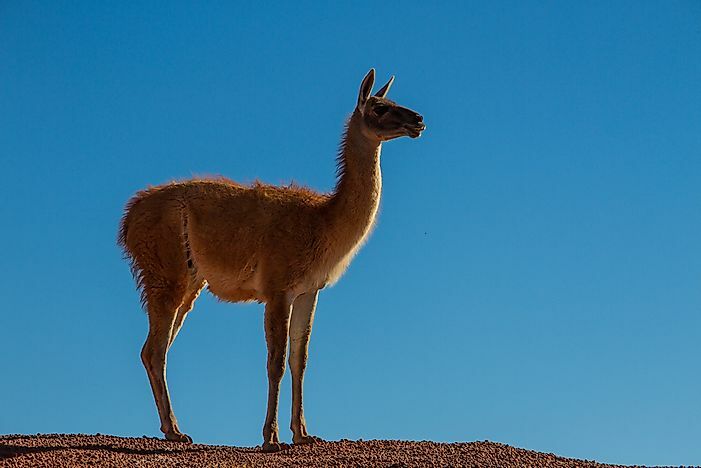 The vicuña, like the guanaco, is a wild camelid species. It is native to the Andes highland regions of South America and is the national animal of Peru. This species produces a very fine, soft, and warm wool, which can only be obtained from the same animal once every three years. During the Inca empire, only Inca royalty were permitted to wear vicuña wool. In 1974, this species was considered endangered and had a population of only 6,000. Due to successful conservation efforts, the vicuña now numbers around 350,000 and is off the endangered species list. This species is smaller than the guanaco, growing to an average shoulder height of around 3 feet and length of roughly 5 feet. It weighs under 150 pounds.